World Spree Travel’s 12-day Incredible India tour includes the colorful Holi Festival (photo courtesy of World Spree Travel). Bellevue, WA— Spring brings India’s famous Holi Festival, the most colorful celebration imaginable and World Spree Travel has organized a trip to take in the festival on a 12-day tour that visits India’s Golden Triangle: the capital, Delhi; the city of the Taj Mahal, Agra; and the famous “pink city,” Jaipur, plus two days and two overnights in Ranthambhore National Park to see the elusive royal Bengal tiger. The tour, including air fare from San Francisco, Los Angeles and New York, departs March 5, 2017. 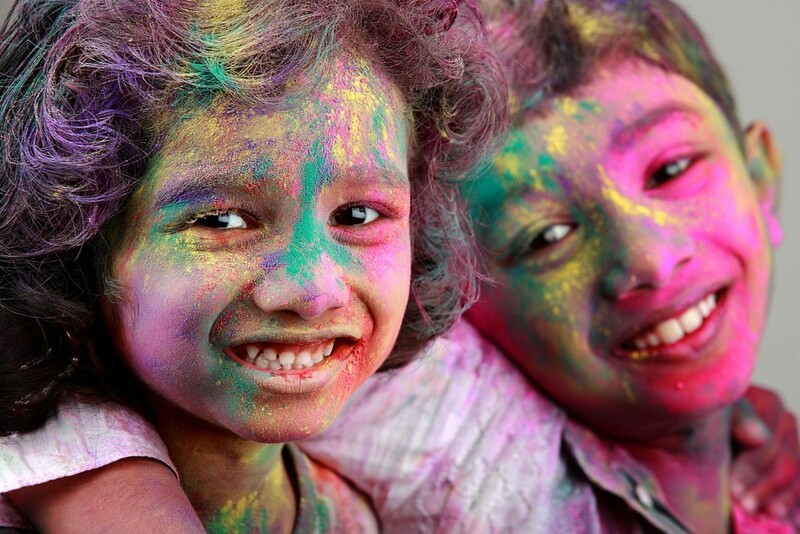 For good reason, Holi is also called the Festival of Colors. Friends, family and even strangers paint the town and its inhabitants, rubbing colored powder on each other’s faces. Some celebrants get really carried away and throw the powder and colored water at each other in a true explosion of color. Though it is a Hindu religious festival, it is also a Technicolor feast for photographers. World Spree Travel’s India Holi trip, departing March 5, 2017, starts at $1,999 and includes round-trip flights from San Francisco, Los Angeles, New York and Houston, luxury hotels, daily buffet breakfast, six other meals, sightseeing with entrance fees, wonderful guides and baggage handling. The 12-day tour visits India’s Golden Triangle: the capital, Delhi; the city of the Taj Mahal, Agra; and the famous “pink city,” Jaipur, plus two days and two overnights in Ranthambhore National Park to see the elusive royal Bengal tiger. Joining in Jaipur’s Holi Festival, World Spree tour participants are given special white clothing to face the riot of colors, while they enjoy special drinks, snacks and local performers who sing, dance and make merry. For more information about World Spree’s Incredible India Holi tour, visit www.worldspree.com and click “Tour Packages” and then “India,” or call 866-652-5656.